With the heroics of Kentucky Derby Presented by Yum! Brands (Grade I) winner Nyquist and Longines Kentucky Oaks (GI) victor Cathryn Sophia fresh in the memories and hearts of fans, Churchill Downs Racetrack resumes its Spring Meet on Thursday, May 12 with a possibly significant mandatory payout in the track’s 20-cent minimum Single 6 Jackpot along with the meet’s first “Twilight Thursday” celebration that feature $1 beers, live music and offerings from the region’s finest food trucks. Post time for the first of eight live races Thursday is 5 p.m. (all times EDT), with Twilight Thursday programs scheduled during each week of the Spring Meet, which continues through Saturday, July 2. Admission gates will open at 4 p.m. The 2016 meet will operate on a schedule of four-day, Thursday-through-Sunday racing weeks with the exception of a five-day Memorial Day Weekend schedule that runs from Thursday, May 26 through the holiday on Monday, May 30. Aside from Twilight Thursday programs, post time for the remaining racing days of the 2016 Spring Meet will be 12:45 p.m. with exceptions for two remaining Downs After Dark Presented by Stella Artois and El Jimador programs set for Saturday, June 18, which is topped by the running of the $500,000 Stephen Foster Handicap (GI), and the meet’s Closing Night on Saturday, July 2. 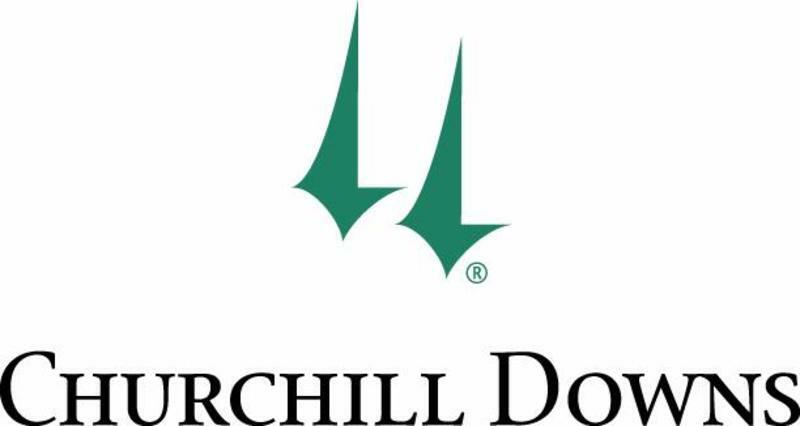 A carryover pool of $686,309 from Churchill Downs’ $2 Pick 6 on Kentucky Derby Day will be split when racing returns Thursday. Half of the pool - $343,154 - will be included in Thursday’s first 20-cent minimum Single 6 Jackpot. Thursday’s Single 6 Jackpot pool requires a mandatory payout, regardless of whether an on-track or simulcast patron selects winners of all six Churchill Downs races included in the wager. The remaining $343,154 from the Derby Day carryover goes into the Friday, May 13 opening pool of the meet-long Single 6 Jackpot. Single 6 Jackpot rules require that the pool be paid-out only if there is a single winning ticket-holder. If multiple tickets contain six winners, 90 percent of that day’s pool will be paid out and 10 percent will be added to the wager’s carryover. If there are no tickets with six winners, the entire pool is added to the carryover; there are no consolation payouts. Takeout on the 20-cent-minimum Single 6 Jackpot is 15 percent, one of the lowest multi-race wager takeout rates in American racing. The resumption of the popular “Twilight Thursday” party on the first live racing program after the Kentucky Derby will feature live music on The Plaza by Frankie Moody along with $1 beers and the inventive and delightful offerings of the city’s most popular food trucks. This week’s food trucks include ¡Holy Molé!, Longshot Lobsta, Mark’s Feed Store, Red Top Gourmet Hot Dogs and Zoom Zoom Yum. 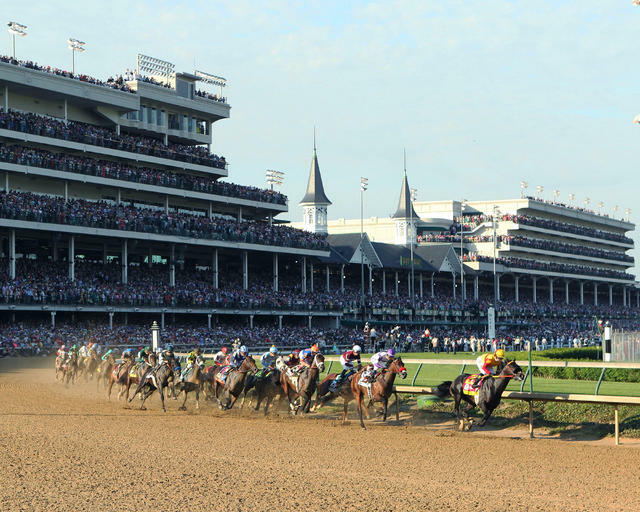 Live music will begin with the 4 p.m. opening of the Churchill Downs admission gates. General admission for Twilight Thursdays and most racing days at Churchill Downs is $3, and free parking is available in the Longfield Lot. Post-Kentucky Derby racing continues Friday, May 13 through Sunday, May 15 with a daily post-time at 12:45 p.m.
Sunday’s scheduled is topped by the Spring Meet’s first Family Adventure Day Presented by Kroger. The roster of festive of racing and family activities includes pony rides, inflatables, a petting zoo, stick-horse races in the Paddock, face-painting and more. Family Adventure Day Presented by Kroger activities will benefit Kosair Children’s Hospital as $1 each from each ticket will be donated to the work of the Louisville institution that is Kentucky’s only free-standing, full-service pediatric care facility dedicated exclusively to caring for children. Information is available at www.KosairChildrensHospital.com.